What is a pastoral care policy? A pastoral care policy embodies the values and approaches underlying how, as a church, you aim to care for people. Implementing a pastoral care policy in your leadership setting is a way of ensuring that the culture of care is intentional rather than accidental. The very process of creating such a policy provokes both reflections on your current approaches and questions about what your desired ones might be. Despite the huge diversity of pastoral settings, a simple and helpful approach can be drawn from 1 Peter 5:2: ‘Be shepherds of God’s flock that is under your care’. The consideration of context (the setting in which you are providing care) is essential in effective pastoral care. Different contexts demand different approaches; however, all should apply similar approaches to safe care, boundary setting and best practice. Think about the appropriateness of the settings in your church where pastoral care occurs. Are they safe places, open and populated, but also offering sufficient protection for confidentiality and quiet conversation? What are the specific values of your church? Are these reflected in your pastoral approach? Have you considered issues of access for people with disability or additional needs? When working with people suffering from mental health issues, is your context appropriate and supportive? Considering the wellbeing of the client often begins with some very practical questions. Have you a Child and Vulnerable Adult Protection Policy in place? Have you trained your team in how to report disclosures of abuse, risk or neglect? Have you considered the implications of home visiting and how such visits might be staffed and recorded? Have you pre-agreed time frames for pastoral meetings and do you plan to keep the frequency and setting the same each time? Have you developed a strategy for responding to client crisis calls or breaching of normal boundaries? Have you agreed which basic values you want to see expressed to the clients who are under your care, and is your team aware of how to articulate them? Confidentiality should be defined carefully in each pastoral setting: failure in this area of care often has a catastrophic impact. Pastoral carers should make clear the circumstances in which confidentiality cannot be maintained (child protection, criminal activity, risk of harm to self, etc). They should also explain the structures of reporting and supervision: who will be kept informed, for example. Reporting and record-keeping are important means of maintaining client continuity and personal safety. Records of pastoral meetings need not contain detailed accounts of the pastoral encounter but they should log the time and date of the meetings held, as well as significant concerns the pastor has about a client’s welfare. All reports should be held securely and confidentially. 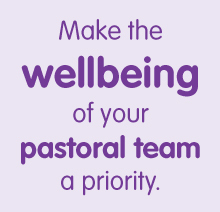 Consider the wellbeing of your pastoral team as a priority. How will you facilitate and protect their wellbeing in the long term? Have you considered personal supervisions with either the lead pastoral carer or a trained external supervisor? Have you taken into account the resilience and particular needs of each member of your team? Are you ensuring that there is appropriate training and also recovery space for them to thrive? Does your setting prioritise the needs of the caregiver, or do the same people work until they drop? What are the spiritual implications for your pastoral team? 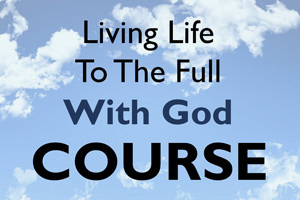 How can you ensure their spiritual growth and nourishment within the church? Do your pastoral team members have access to a signposting contact book? This should include the contact numbers of local authorities and other secular organisations that can be used as a referral when there are concerns about someone’s wellbeing, including their mental health. The most effective policy documents are brief, clear and ‘developing’. By that we mean that they are not just filed away in a back office: they are constantly under review (at least quarterly) and improved in line with the team’s experience. Settings that invest time in policy-making typically perform better in the longterm than those who like to let things happen organically. If you are seeking to improve the overall emotional health of your church, and keep your key pastoral leaders’ wellbeing high, this is an excellent first step to take.